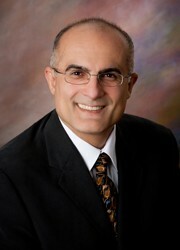 Navid Vahidi M.D., Ph.D., F.A.C.S. Dr. Vahidi emigrated to the United States at age 16 and became a naturalized United States citizen in 1989. He finished high school in Los Angeles and received his Bachelor of Science Degrees in Chemistry and Biology from University of California, Los Angeles (UCLA). His Medical Education was combined with a doctoral program in Biophysics at the University of Illinois where he received his M.D. and Ph.D. He completed his internship in general surgery at University of California, San Francisco (UCSF). His ophthalmology training was completed at the University of Chicago Hospitals. Dr. Vahidi is a Board Certified eye surgeon with extensive experience in a broad spectrum of medical and surgical eye-related problems. He is on staff at Florida Hospital and Orlando Regional Health System.